10 Questions You Should Ask Your Builder - TRF woodcrafts Ltd.
1. Any builder can claim to build energy-efficient homes. How do I know that your homes are truly energy efficient? The energy efficiency of a home can be measured using Natural Resources Canada's (NRCan's) EnerGuide rating system. This system determines the homes' level of energy efficiency on a scale from 1 to 100. The average newly build home rates at apporx. 72 on the scale. Highly energy-efficient homes rate at 80 or more. The national R-2000 initiative and regional energy efficiency initiatives such as ENERGY STAR for New Homes, Power Smart New Homes and Built Green require homes to meet minimum EnerGuide ratings. Find out if your builder is constructing your home in partnership with one of the initiatives or if the home will receive an EnerGuide rating of 80 or higher. 2. Since all builders must meet the requirements of the building code, what makes your homes different from other builders' homes? Homes built with an EnerGuide rating of 80 or higher go beyond the energy requirements of the building code. They are more energy efficient, which can translate into lower energy costs. Often, these homes offer better indoor air quality and include environmentally responsible products in their construction. 3. How do your building techniques reflect the latest developments in housing technology? Builders who are licensed by NRCan to build EnerGuide rated homes are part of a network of trained, innovative professionals who voluntarily include the EnerGuide rating process in their home building. The R-2000 Standard is an evolving standard that reflects more than 25 years of research and development by the Government of Canada and the home-building industry. This standard provides the foundation for technical requirements of the regional energy efficiency initiatives such as ENERGY STAR for New Homes, Power Smart New Homes and Built Green. Builders using these initiatives are committed to being industry leaders and take training to be aware of the latest developments in home building technology. 4. What steps do you take to improve the energy efficiency of the homes you build? To meet an EnerGuide rating of 80 or higher, builders often use high levels of insulation, incorporate passive solar energy into their designs, install high-performance heating and ventilation systems and use thorough air sealing to improve energy efficiency and to ensure excellent indoor air quality. 5. Can you predict what my energy costs will be? Your homes' energy cost will depend on the living patterns of its occupants. However, builders of EnerGuide rated homes can use the energy target of your home to predict your annual energy costs based on standard operating conditions. typically, homes that receive an EnerGuide rating of 80 or higher cost approximately one third less to operate than conventional new homes. 6. What makes your homes more environmentally friendly than others? Homes account for 17 percent of all energy used in Canada. Homes that have higher Energuide ratings work to lower that statistic because they are more energy efficient and produce fewer greenhouse gas emissions that harm our environment. Also, environmentally conscious builders often use "green" building materials, encourage the use of energy efficient appliances and produce less waste material during construction. 7. Are you licensed by the Government of Canada to build energy-efficient homes? Builders to EnerGuide rated homes must be registered and licensed by NRCan. This enable NRCan to monitor builder certifications, training, marketing initiatives and to perform quality assurance on EnerGuide labelled homes. 8. Do you affix a government backed energy label to the home? Homes built using the national R-2000 initiative and regional energy efficiency initiatives such as ENERGY STAR for New Homes, Power Smart New Homes and Built Green receive an official EnerGuide label. 9. Do independent, licensed professionals inspect the quality of your homes? NRCan conducts random quality assurance on R-2000 homes and homes built with energy efficiency initiatives such as ENERGY STAR for New Homes, Power Smart New homes and Built Green. These homes are evaluated, inspected and tested for energy efficiency by independent professionals who have been trained and licensed by the Government of Canada. 10. Do you build homes that receive an EnerGuide rating of 80 or higher? 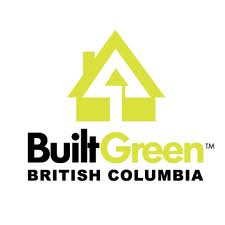 Find out if your builder is constructing your home in partnership with regional energy efficiency initiatives such as ENERGY STAR for New Homes, Power Smart New Homes and Built Green or if the home will receive an EnerGuide rating label of 80 or higher. Lastly, as always, our advice is to do your due diligence as homeowners who are looking for a builder. Pick several builders to interview (ask people you know for references, local building stores, go to open houses), meet with the builder, go see some of their product, ask for references and actually call the references and finally, if you have questions, ask them...remember, there are no stupid questions!